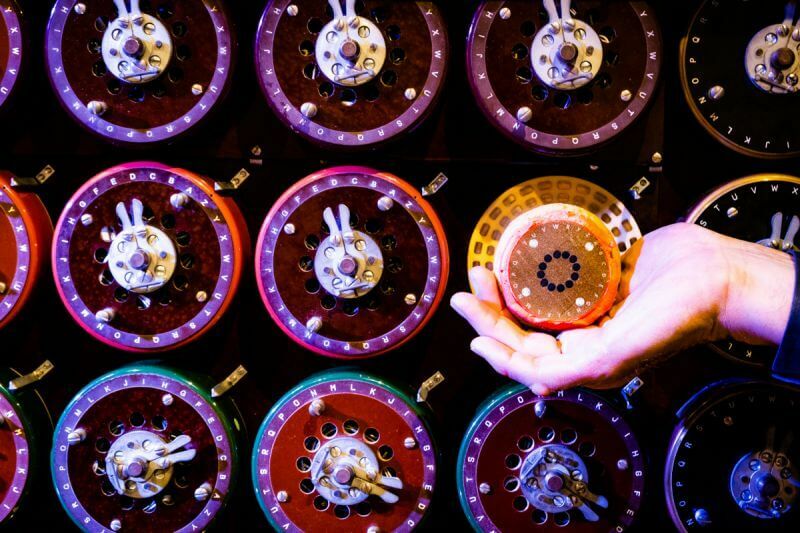 The star of the gallery is the Turing-Welchman Bombe, which automated the deciphering of Enigma-encrypted messages during the Second World War. It was reconstructed in 2007 as a tribute to the codebreakers by a team led by John Harper and moved to TNMOC in April 2018. It is now situated in the same building as the reconstructed Colossus computer that accelerated the breaking of Lorenz-encrypted messages of German High Command. Together these machines are credited with shortening the war by two years, saving countless lives. Two veteran Bombe operators of the WRNS (Women’s Royal Naval Service) Jean Valentine and Ruth Bourne opened the new Bombe gallery. During the war they were sworn to secrecy and had little knowledge of the significance of their work until decades after the war. At the opening of the gallery, each WRNS member spoke of their vivid memories of the requirement for accuracy and concentration when using the Bombe, of the long shifts, repetitive work and the excitement of using the ‘red phone’ to tell army or navy personnel of a potentially significant message that they thought they could decrypt with the Bombe – though they never learned the contents of those messages. 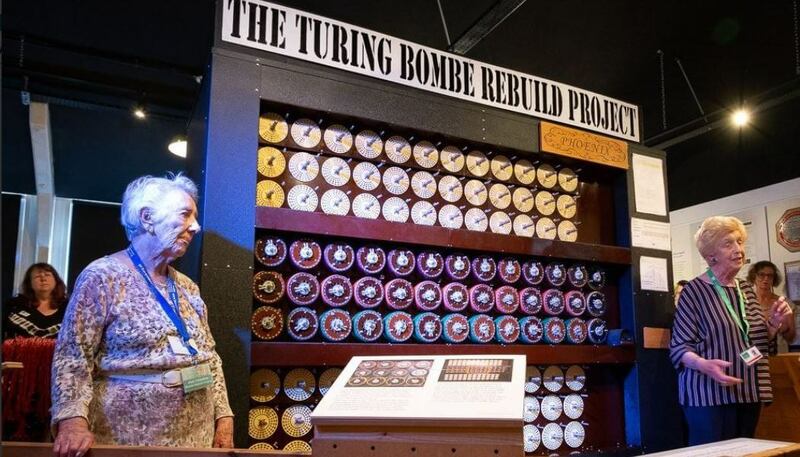 The Bombe is now on permanent display at The National Museum of Computing , Bletchley Park. Watch Advisor’s video of the education programmes TNMOC organises for children with autism and how winning the Museums + Heritage Show Prize in 2017 helped them achieve their aims.